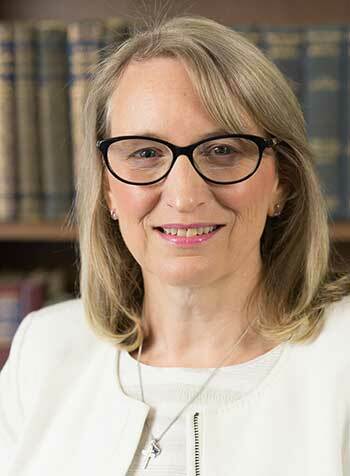 London School of Theology (LST) has appointed Kate Douglas as the new Academic Secretary and Director of Academic Support. This newly developed role combines the Academic Secretary along with oversight of all student academic support functions of the School. LST says Kate’s extensive background in business management and compliance, as well as her senior level experience in higher education, will be invaluable as it forges ahead to grow in size, reach and impact. Kate leaves Middlesex University where she was Director of Employability, a role in which she designed innovative employability solutions that have supported academic colleagues and thousands of students and graduates. A committed Christian, an accomplished musician and training in counselling means Kate is well qualified to respond to LST’s students in their specialist programme areas of Theology, Music, Worship and Counselling. Kate holds an MBA and is a member of the Institute of Directors. Working closely with the Principal, Kate will be a member of the LST Executive Team. Mr Steve Hughes, Chair of the Board of Trustees said: “Kate’s appointment is an important one for LST and it will help us to improve our operational excellence and maintain our high standards of compliance with HEFCE, QAA and all other external regulatory bodies with whom LST engages.